Water damage to your property, whether due to a flood or mechanical error is often devastating. If you are searching for a competent San Antonio area water damage restoration company to provide water removal, you have come to the right place. Complete Clean Water Extraction proudly provides immediate professional water removal and dry out services in the greater San Antonio, TX area. Complete Clean Water Extraction is a name people trust for quality San Antonio area restoration of your property when disaster strikes. If you are experiencing a San Antonio water emergency or flooding emergency, whether from a San Antonio area storm damage, flood, burst pipe or appliance leak, look no further that Complete Clean Water Extraction for immediate assistance. We are on call 24/7 to remove your water and restore your property with special care to eliminate any mold or mildew spores. Just call (210) 239-0486. We'll work with your insurance company to deliver quick, complete service without the headaches! If your San Antonio property has water damage, don't wait. Time is of the essence to dry it quickly. Call the experts at Complete Clean Water Extraction today. 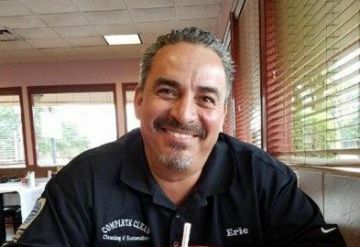 "Hi, Eric Argueta here, owner and operator of Complete Clean Water Extraction. I started working in damage restoration and carpet cleaning with my father in California when I was 14. My father taught me the importance of hard work and customer service. As the owner-operator, I seek to build long last lasting relationships with every customer built on trust and quality workmanship. It is very important to me to make sure people are pleased with the service they receive. For this reason, honesty and integrity are very important to us. For instance, our service technicians are not commission based. They are motivated to provide great service rather than upsell. 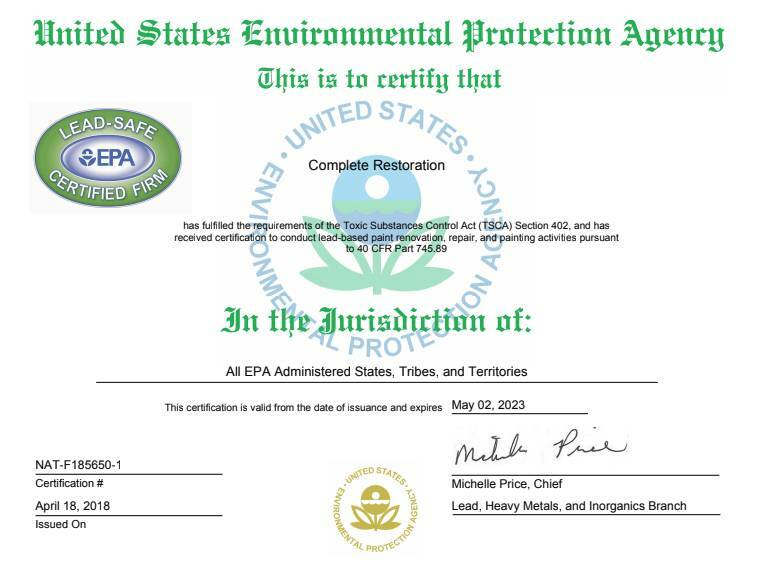 Lastly, Complete Clean Water Extraction is not a franchise and do not incur the extra costs associated with franchise service. This allows us to provide better service at a reasonable price. 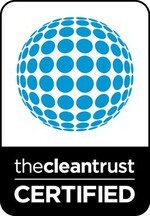 Why Trust Complete Clean Water Extraction? "Plastic pipe connection in the wall for the refrigerator water line cracked so we had a steady geyser of water flowing in the kitchen, kitchen pantry, and master bedroom closet (shares a wall with the kitchen). Found Complete Clean via Google search and called early in the morning the next day (after the plumber repaired the leak) and spoke to Eric the owner who said he and another employee could be at our house in less than 1 hour. Eric was so sympathetic to our plight (plumber and carpet restoration cost was less than our insurance deductible so we were paying for everything), that he included 2 additional blowers at no cost (after we agreed to pay for 2 blowers and a dehumidifier to be used in the master bedroom closet, carpeting/padding, and drywall) for the drywall behind the refrigerator and pantry drywall. Eric also allowed all of the equipment to remain on our property for 2 additional days (e.g., over the weekend) for free." In between saving homes and businesses from mold and mildew caused by water damage, Complete Clean Water Extraction also provides professional tile and grout cleaning in San Antonio and surrounding areas. Is your San Antonio grout looking soiled and discolored? Is your tile looking dingy? You'll be amazed by the sparkling clean that Complete Clean Water Extraction can deliver. You'll be surprised that your tile used to be that color! Give Complete Clean Water Extraction a call and we'll be happy to provide a free estimate to clean, seal and restore your San Antonio tile and grout to beautiful! 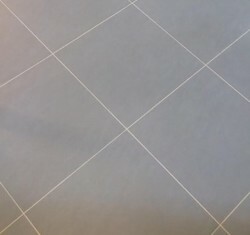 Complete Clean Water Extraction will also restore your natural stone flooring or Saltillo tiles. We can even color your grout to give your floors a whole new look. In the business of tile services since 2003. "My house is almost totally tile. Eric cleaned our grout which started out as a taupe color and had turned very dark over time. After cleaning, it looked brand new! It was so worth it and made a huge difference. I would highly recommend Complete Clean for tile cleaning. His prices are fair and professionalism is outstanding! Thanks Eric!" Complete Clean Water Extraction specializes in cleaning and restoring stone floors in San Antonio and surrounding towns. Stone floors require special care. Dust, dirt, and grit will produce small scratches and cause your floors to lose their shine. Many people wax their stone floors in hopes of restoring luster, but the wax dulls too and compromises the beauty and integrity of the flooring. 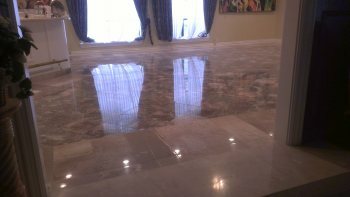 San Antonio's stone floor restoration experts will restore your stone floors by first removing the wax, then cleaning, sealing and finally polishing your floors. The result is a beautifully clean and polished San Antonio stone floor. Types of stone floors cleaned in San Antonio by Complete Clean Water Extraction include travertine, Saltillo tile, marble, natural stone, terrazzo and more, just call (210) 239-0486 for a free quote. "I've been utilizing Complete Restoration's restoration services for years! 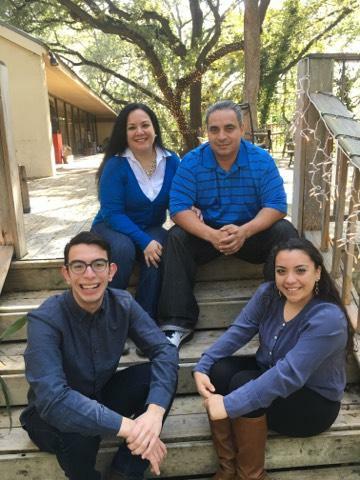 Eric and his team are always punctual, professional, and friendly. They do an amazing job and I will never use any other company again. You definitely get your money's worth and floors look brand new every time!!"